Just a few years ago, wine bars started popping up in major cities around the nation as a new trend that strayed from the “normal” bar scene. Each one offering an expansive wall of wines along with featured wines served directly on tap that customers can try at their own pace. It seemed that this was not just a trend for an older demographic that had a pallet for sophisticated wines but also a place for a younger crowd to hangout and discover new tastes. Since that time, there has been a rise in the wine bar concept reaching both large and small towns. But what’s most intriguing about this trend is not how each business offers a wide variety of bottled wine; it’s the wine on tap that has been gaining popularity. Serving almost as a wine tasting, offering wine on tap gives customers the freedom to choose and experience a variety of wine. 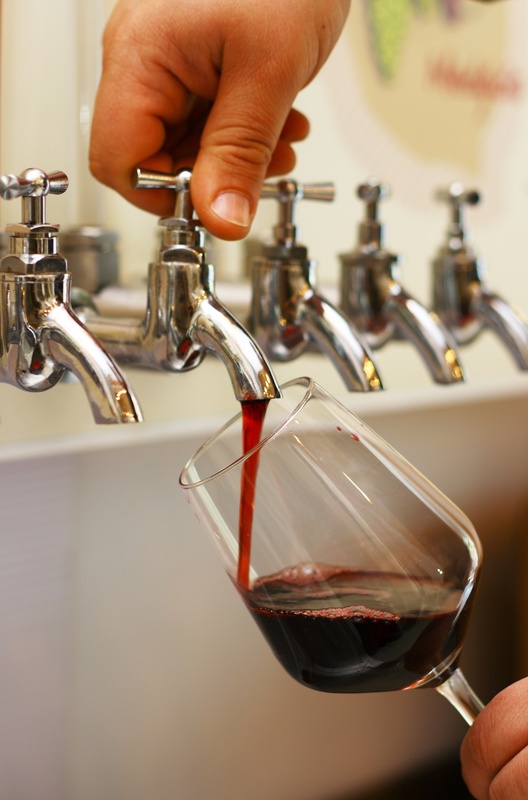 Is the Wine on Tap Trend Here To Stay? While the wine on tap trend may seem to be growing considerably within wine bars, it is actually a sales tactic that has been brought to market numerous times since the 1970’s but has failed to succeed. Since then, the process has improved greatly and the wine you order on tap tastes fresh, whether it’s the first glass or the last out of the barrel due to the improvements in production. 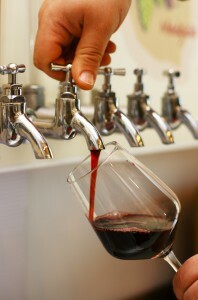 Kegged wine is also better for the environment and this is a huge deal to many restaurant owners and their customers. In fact, 83% of Millennials will trust a company more if it is socially/environmentally responsible. Wines sold by the glass account for up to 80% of wine sold in restaurants, which equates to approximately 600 million bottles per year. If 10% of that was served from a keg, that would save 60 million bottles yearly. Since only about 27% of glass is recovered for recycling, this would divert millions of bottles from landfills. In general, each 19.5L keg holds 26 bottles worth of wine (that is 26 glass bottles diverted from the landfill). Kegs also lower transported wine’s weight, which accounts for one-third to one-half of the industry’s transportation carbon emissions. It looks like kegged wine might be here to stay, so beverage distributors everywhere need to make space for additional kegs in their warehouse. White wine needs to be stored at similar temperatures to craft beer. Red wines should be stored at a warmer temperature than kegged beer coolers will allow. Ideally a 50-58F cooler temperature is desired but red wine kegs are often stored at room temperature. A simple, yet somewhat costly, solution would be to construct a new wine cooler for both the red and white wines in kegs. This space would need some temperature and climate regulation, but could be dedicated solely to wine, keeping the existing cooler space to house the maximum number of craft beers possible. Another option would be to compact existing racking within your keg cooler. This can be accomplished through the use of ActivRAC mobile racking, which eliminates the need for aisles. Mobile racking will double the capacity of any existing cooler and allow ample space for additional kegs of both white wine and craft beer. A third option to consider would be to mobilize some racking within the non-temperature regulated warehouse space. Taking some of the slower-moving bottled products and putting them on mobile racking (which still provides 100% accessibility) could free up some open racking for these additional kegs of red wine. There are realistic solutions to the storage challenges kegged wine will present, so get out there and take advantage of this booming market!